Massacres, war, humanitarian crisis and famine, Sudan is a name that does not appeal to tourism. Yet, before the heart breaking news from Darfur flooded the media and then disappeared into oblivion and the never-ending cruelties in the South put it on the map for most of us, the Nubian that inhabited the Sudan blossomed into a sophisticated civilization that dominated the area and flourished well above Egypt. 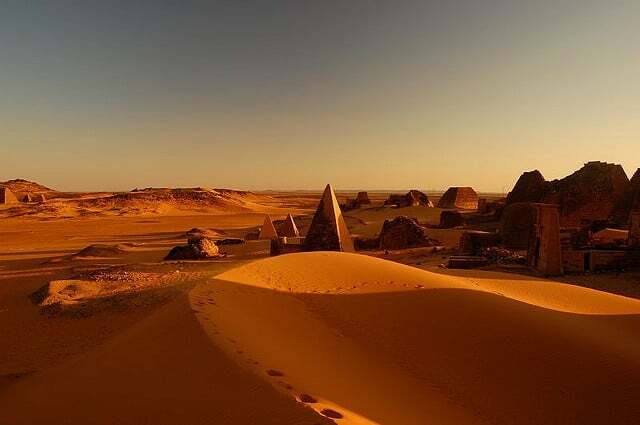 Today, while Egypt’s famous temples occupy predominant places on the world’s 7 wonders list Sudan’s Meroe pyramids lay abandoned and may even one day disappear under the weight of the orange and virulent desert sand. As many other of the countries surrounding the Horn of Africa, Sudan does not receive any real tourists to speak of, except for NGOs, UN personnel and employees from large Chinese infrastructure companies. Don’t let the statistics fool you, of the over half a million arrivals most of them will be businessmen from the Middle East and international organization personnel. In my one year traveling I very rarely saw any visitor. Venturing out of Khartoum required several road permits to cross the many roadblocks manned by the military and the police. Just a few meters from the Nile the desert takes over, the cracking soil under the scorching sun breaks out as if the guts of Planet Earth were to gush out. Remoteness and solitude have a new meaning, one that cannot be explained with words but must be heard in the silence of the dunes. Even for someone who was traveling on business sponsored by the country’s biggest company getting a visa was a challenge and maintaining it a daily struggle. Every week we had to register with the police, adding one more sticker and stamp to our battered passports. I filled an entire passport with Sudanese stamps. Forgetting to register served as a reminder of the gravity of our visits. Angry airport officials yelling at us in Arabic, insisting we understand despite our lack of language skills, a rising voice trying to make us comprehend. Then we would be placed in a separate room, threats of ending up in lock down or barred from traveling again were drizzled with more Arabic spitting. Eventually a good Samaritan would rescue us and we would be escorted to the plane with a severe warning not to miss out on the legal requirements again. Despite all this Sudan remains one of my favorite countries, even though it is one of the least visited countries in the world. There is a sense of peace in the stoic generosity of a country so toughened up by 40 years of suffering and dictatorship, so devoid of any freedom. In this profound restriction to any of the West’s pleasures Sudanese have grown respectful and tolerant of difference. Perhaps it is because they knew what it was like to have everything and then lose it they treasure other people’s choice. Or it may be the wisdom of a civilization that flourished when the rest of the world was engaged in wild savagery and destruction. On numerous occasions I was reminded of the Sudanese hospitality and superiority in very basic gestures that only the wisest and most intelligent nations ever show. During the fasting month of Ramadan, when several daily routines are restricted to nighttime, we were encouraged to maintain our daily habits, to eat and drink in the office, our customs respected more than at any other country in the Middle East where I used to have to hide in the bathroom to eat a banana or a cereal bar at lunch time. In Sudan we would order take away food and get it delivered to the office where the 100% Muslim client found it absolutely normal. Sudanese shared their traditions and ways of life with us in a way that was genuine and authentic, they showed us what true hospitality meant, without wanting to impose but with the mere interest of sharing a meal together the guests on their ancient land. One evening, in the middle of Ramadan, we were invited by one of the Sales Managers to his house for Iftar, the meal that is used to break the fast. As we arrived at a barren neighborhood outside of Khartoum filled with mud houses the same color as the dusty road I was directed to the courtyard as my male colleagues were escorted to the living room to join the men. Following directions through the house I found myself in an open-air patio, behind the kitchen, where the women, the children and the chicken were, on the floor. Women eat separately as men discuss important matters. I was a foreigner, one of the most senior in the team for that matter, but nonetheless treated like the locals. This was not a sign of discrimination or of considering me of inferior value, for them, this was a sign of respect and deference towards me, ensuring that I would feel comfortable surrounded by the other women. For those teenage daughters seeing a white suited-up professional women working with men, standing tall in high heels and carrying a laptop bag I was as exotic as the traditional Sudanese meal on the floor without cutlery felt to me. They stared at me, inquisitively, intently, expecting that I would do something strange and waiting for me to be full before they started eating. My empathic self felt terrible, I had eaten lunch, whereas they had not eaten all day. My side of the large communal plate was being refilled with more of the shared meal as I tried to scoop food with a piece of flat bread struggling not to make a mess that looked like the chicken had eaten on it. I insisted I was full but my politeness got lost in translation, the teenage girls trying to understand what I meant in their basic English, me trying to transmit that the food was delicious, as it was, but that I was stuffed. We tried to establish a conversation yet I couldn’t help but feel that I was starting a small revolution as the girls got more and more excited about seeing the world, traveling like me, having an education, getting jobs. I realized that was the farthest reality they could ever dream of. How could they ever leave Sudan? Eventually, after dinner, we all joined the living room to watch the Lebanese soap opera that rings in all homes across the Middle East every Ramadan. Sudan, for me, was made of all these small moments of simple life. An ice cream in the evening, sitting on a park, joining the rest of the Sudanese youngsters chatting away to the noise of other people’s laughs and lively talk. There is no music, there are no bars, there is no entertainment. Sudan’s strict Sharia Law dictates that there is no fun and yet I have only great memories from all these simple evenings eating ice cream or drinking the freshest and sweetest watermelon juice. Removed from all the “pollution” of the twenty-first century civilization life had gone back to the quiet conversation on the cooler evenings sitting on plastic chairs. 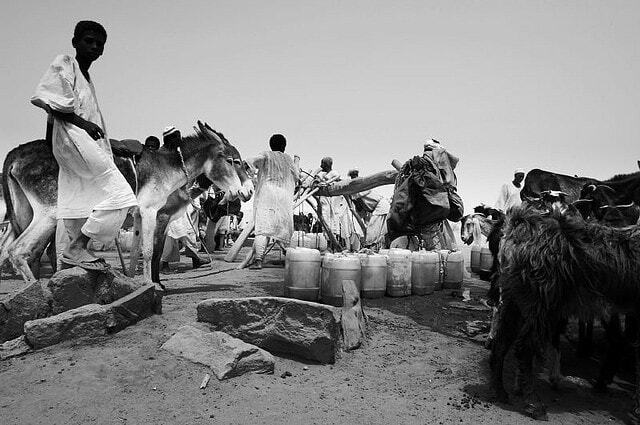 The human desperation of Darfur trickled into Khartoum in the form of resignation. Friends and family would panic when I started traveling to Khartoum, they did not realize Darfur is as far from Khartoum as Sweden is from Spain for a united Sudan was Africa’s largest country, an ocean of desert sand. The abandoned American Embassy was replaced by a strong UN presence. Women in wrap around shawls covered their heads in colorful patterns, occasionally the wind would blow their cover away but nobody turned their heads. They have seen it before, Sudan was a democratic liberal country in the 80s and most adults will still remember the nights out, dancing away to the sound of Egyptian singers. Unlike other predominantly Muslim countries where women are fully covered in Sudan nobody seemed curious in seeing a Western woman uncovered, it wasn’t such a rare sight, lots of women from humanitarian organizations roamed the streets. Alcohol was and remains unavailable, except at some Chinese restaurants in town provided you know the secret key word, or at the Embassy parties of which there are many, lest foreigners forget what it is like to party the night away. Debauchery in an island of isolation. For a second you may close your eyes and imagine you could be anywhere. Embassies are a safe heaven in a country so oppressed and robbed of any choice. On a weekend day trip we manage to organize the tedious task of getting all the necessary permits and equipment for a trip to Meroe to see the pyramids and temples. This involved not only the road permits but also the “tickets” to visit the ruins, not that there was anybody to check our passes were valid at most of these. We also needed a 4×4, an extra spare tire, a driver knowledgeable in driving through the desert and a GPS to follow the coordinates to the sites. For most of the journey we were simply crossing the most deserted of territories, nothing in sight other than dunes and more dunes, an ocean of nothingness in front of our eyes. When I studied Egyptian history I remember imagining the Nile flooding and covering the nearby land with water turning it into a fertile zone where Sudanese and Egyptian would grow produce. Instead, what I saw is the driest of lands, incapable of providing sustenance to the few remote villages we find on our way. A few meters from the shore, life is inexistent, you can’t even conceive that Africa’s largest river is just a few meters away when you see the most inhospitable of landscapes. After crossing too many road checks and following the GPS with little hope of getting anywhere we eventually made it to Naqa, an ancient Meroitic city dating back to 4 century BC today in ruins. There is a well close by where a group of men and children are gathering. Donkeys pull ropes tied to buckets filled with water in what is possibly an entire day’s worth of work for a few liters of precious clean gold. The treasure of the desert. Next to it lies the Amun temple, lonely, absolutely ignored by the busy peoples of the desert and made with sandstone, the same orange color as the surrounding. We get off the car, we wander around. There are no signs and little information available in the Bradt guide to Sudan. Who knows the real story behind it? Back in the car we continue across the world’s largest emptiness. I have never seen such a continuum of sand and dust. We pray the haboob does not hit us, much like in the movie The Mummy, the haboob or sand storm appears from the horizon and sweeps through covering everything with a layer of dust, as if it had rained flour. Days will pass before you can get rid of the sand in your ears, your clothes, you nose. Your teeth will grit and munch on the tiniest grains of sand for days. 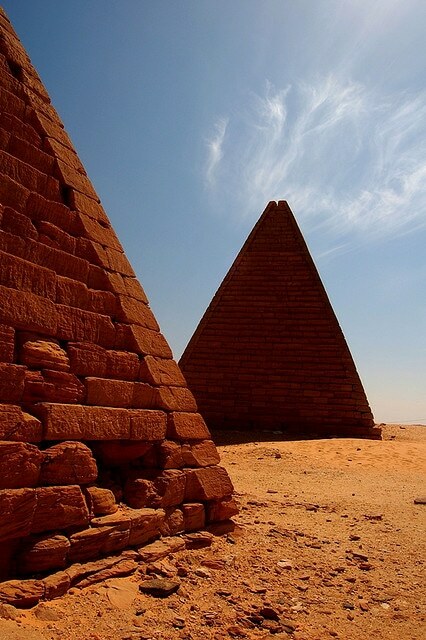 Eventually, we reach Meroe, the beautiful pyramids whose tips were blown off by a crazy Italian explorer in search of gold. There are 200, several more than in Giza, they are smaller, wider and closer to each other. It is said that they are older than Egypt’s. To me, they are the bounty that a stranded passenger of a ship may have found in a remote island. They are as precious as they are unaccounted for. The bright orange sand burns our feet. I am wearing flip-flops only and I can barely walk around the pyramids. The dunes are young, probably shifting every day as the wind blows around this desolate landscape. I try to climb up some of them but sink into the depths of the desert as if walking on quick sands. My skin burns under the glowing sun but I can’t help but feel attracted to this wonderful creation. I circle around these towering magnificent human constructions. Standing tall, on top of the dunes, I see nothing else but sand, dunes and the horizon filled with dust in the same orange of the desert, blending into the blue of the sky, clouds never feature over the desert. Out of nowhere comes this young boy, dressed in a long rope, the typical attire of the Sudanese, its color greyer than white, stains covering its entire surface. He smiles with his perfectly lined shinny white teeth, his bright smile contrasts with his dark skin, toasted through hours under the oven-hot Sudanese sun. 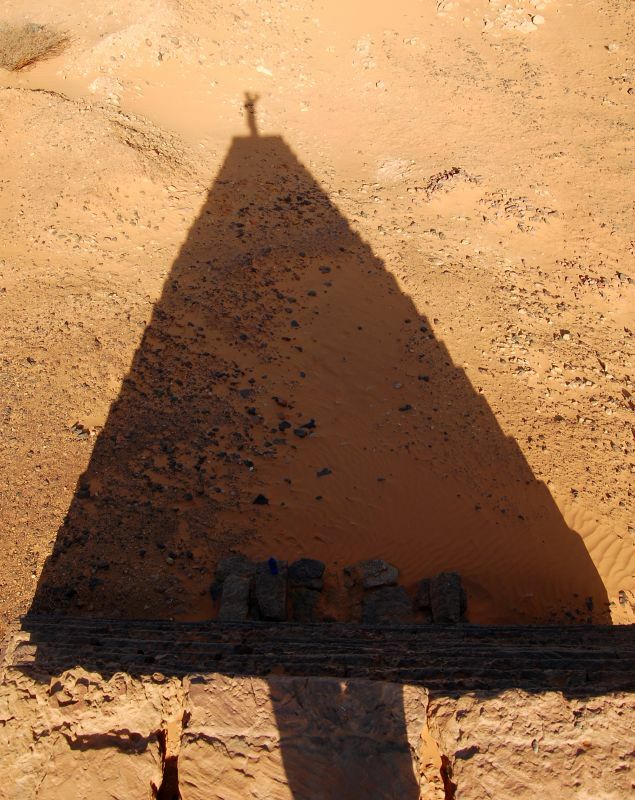 He stares at us, walks around us, grins, hides behind the pyramids and comes out the other side. The driver and my friend, who learned Arabic in Yemen, converse with him until his father arrives. A very old man whose age is impossible to tell. He doesn’t even know. He could be 50 or 80. He asks for our permits in what appears to be the most ridiculous of acts. What if we don’t have them? Would it make a difference? How would he prevent us from seeing such magnificent creations of humankind? There are no fences, no signs, no delimitations, just the silence of the desert and these feats of civilization standing on top of a small hill. Nonetheless, we hand them over, we have obtained them all from the Ministry of Culture. He opens a large and thick book, a guest book of sorts, and registers us. I can’t even identify the last entry; perhaps a week, perhaps a month ago. Why does nobody come to see this while the pyramids in Egypt, not half as mystical or magical, receive thousands of visitors every day? I feel grateful there are no touts trying to sell us a camel ride. I see a camel though, the mode of transportation of the old man and his son, their ride to work. 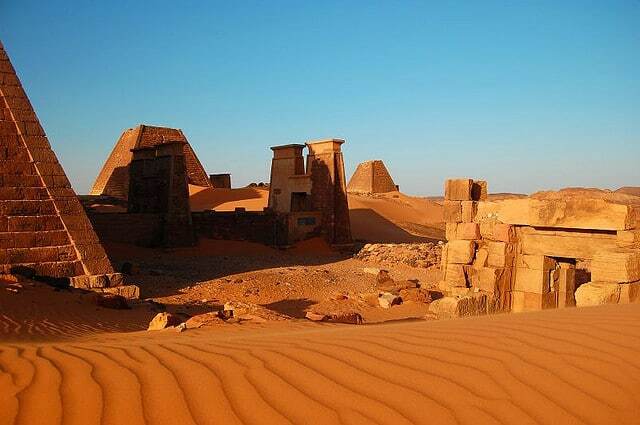 Meroe was listed as a UNESCO site in 2011 but remains undiscovered. I get lost in my thoughts, reflecting on how lucky we are for being there, wondering how many other people will see them before they disappear, drowned into oblivion by a stronger than usual sand storm. 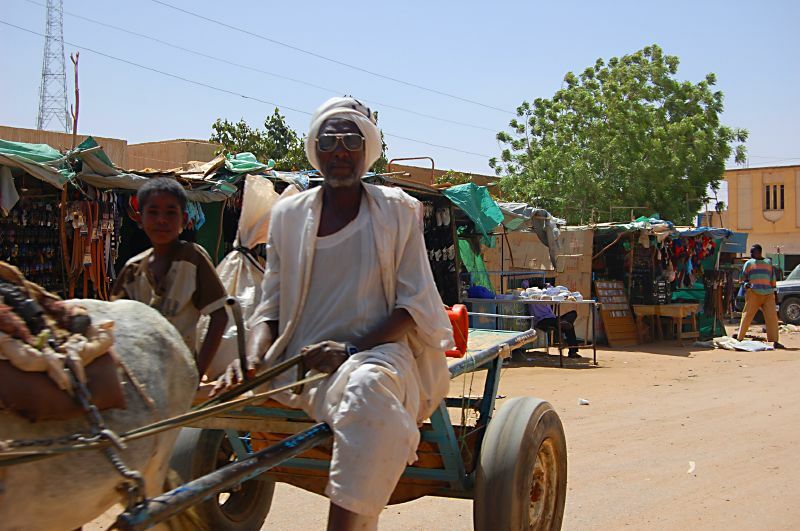 The Sudan that I lived and shared had nothing to do with the one that everybody sees on TV. It was not plagued with wars, it was not cruel, it was generous and it was hospitable. Yet it did not escape me that, while I was being taken care of by our hosts and I could experience the little things, lives were taken away every day in Darfur. I could not turn a blind eye on our efforts to determine the best place to locate the next set of telecommunication towers when we could not even know where the refugee camps where, for security reasons we were told, and were not even allowed to travel there. Permits for Darfur were not provided, nor were we allowed to fly over to determine the location of the human population. How could we know where there was life as opposed to just desert? Wouldn’t the refugees and the aid agencies benefit from having a line of communication with the outside world? The government seemed to think otherwise. In Khartoum we used to have a driver taking us places but his reliability was erratic and communication over the phone almost comical, us knowing little Arabic, him speaking no English. We all learned the very basic sentences; how to tell time, how to indicate we wanted to leave. Many evenings we would stay late and have to procure our own transportation. Khartoum had no taxi service, there were very few yellow battered taxis in the streets and most of them were so absolutely destroyed that you could even see the road through the holes between your feet. I felt like in a Flintstones movie. For lack of a better option we used to stop people in the street and offer 20 pound to take us to the hotel. Khartoum was extremely safe. Drinking water was available by the side of the road in large clay pots reminiscent of what the Romans used to keep wine and water from the heat of the summer. It was there for anyone needing some respite from the baking oven heat. The culture of sharing, of helping each other, in this city of rich oligarchs and devastation was pervasive. It was the culture of the desert where the harshness of the environment has created this unwritten rule to help each other. On a trip to Juba, in today’s South Sudan, I woke up at the crack of dawn to board a plane before sunrise. It was a Russian second hand plane flown by Sun Air, the embargo does not allow Sudan to buy airplanes from any of the large manufacturers so this is the only option available: Soviet era planes from the 50s. I felt that I was back in the Cold War. At the domestic airport in Khartoum some people were trying to put goats through the x-ray machine together with the rest of the big boxes and plastic square bags that are so common of Africa. Large groups of people congregating at the entrance, a complete mess inside the airport, in the typical way only Sudan ever showed me. It was a cattle shed. Noisy, filled with animals and people in equal measure. After a lot of confusion and disorder we boarded the flight that remains, till today, the most dangerous of my entire life, the only one when I was convinced we were going to crash, not least because Sudanese airlines have the worst fatal track record in the world. In the last 15 minutes in the air, everyone around me started praying, we were all convinced those were the last minutes of our lives. In the meantime, I found myself reaching out for my phone to send a goodbye SMS to my loved ones. I understood the power of religion there and then, I was hopeless, lost and lonely, they all had God to welcome them into the afterlife. Juba is the most underdeveloped place I have ever visited, forget the Pacific or other remote parts of Africa, this was the only city in an expanse of barren landscapes. A year later it went on to become the capital of the world’s youngest country. Khartoum also showed me the upsides of two humanitarian crises, one being fought in the West, in Darfur, and another one in the South, where talks of independence were in full swing. The city had such large contingent of NGO personnel that a parallel world had been created to capitalize on their needs. Parlors, massage places, dry cleanings, hairdressers, manicure and pedicure places sprouted. Expats and humanitarian personnel alike had a large sum of allowances they could spend on nothing. Nightlife was non-existent and there was little to do on your spare time. Any of the usual activities we would do in the West on our free time were not available so the smartest businessmen started to offer some of these harmless services that were not banned under Sharia Law. The limited amount of options to spend your money on extended to restaurants. In 2008 there were only 2 restaurants to go out for dinner to. A Spanish-Sudanese couple managed a pleasant courtyard restaurant that was a long-standing institution but they were often imprisoned for secretly serving jamon. the little life pleasures were well worth the risk in a country where a slice of ham was a treasure. Next to the crumbling down taxis there were the shinny Land Rovers with large UN stickers on their roofs. The embargo had brought a new breed of Chinese businesses offering anything from infrastructure to telecoms equipment, machinery and even financial aid. A few Lebanese businessmen opened a flashy hotel resembling the Burj Al Arab and a couple of fantastic Lebanese restaurants welcomed customers in the 2 years I traveled to the country. Whatever we lacked in alcohol and entertainment was offset with the freshest and most delicious food and the most organic of fruit juices. Nothing I have ever tasted later has been as delicious as the watermelons grown in the arid gardens of the Sudan. The currency controls, strongly linked to the embargo, made it impossible to get any cash once in the country or to use credit cards. Every week we had to carry stacks of USD that we had to exchange to the local currency, not admitted to circulation anywhere else. If you miscalculated your stay you could simply run out of funds. The embargo manifested itself in various other more mundane ways yet the pervasive Coca Cola and packed of Marlboro could be found anywhere, perhaps they were cheap replicas or smuggled good, like the decrepit Hilton Hotel we used to stay at at the beginning and which had not been part of the chain since the 70s but still preserved all of its branding, unashamedly. Every year, as the rainy season in Uganda and Kenya took hold of the Nile and the river banks increased with the bountiful waters from the Rift Valley Khartoum was submerged in water. From our office window we could see the water level coming up a bit every day. Towards the end of the season it would always feel as if the river was going to give in and simply explode flooding the entire city, yet it never did. Much like the rest of the Sudanese, the Nile held its grounds, stoically, regardless of what life threw at him. During those days and weeks, the African rain pouring through the main arteries of Khartoum contrasted with the dusty roads and the occasional sand storms. Rain was rare in Khartoum but both the Blue and the White Nile converged in the middle of the city, a convergence that reminded me of the importance of this ancient culture, forgotten in history books and associated, in the minds of all of us, with misery, destruction and the saddest of realities, one we all turn our heads away from, not wanting to be reminded of what humans are capable of. I, for one, dream of a day when the Sudanese will recover not only their freedom but also their dignity. 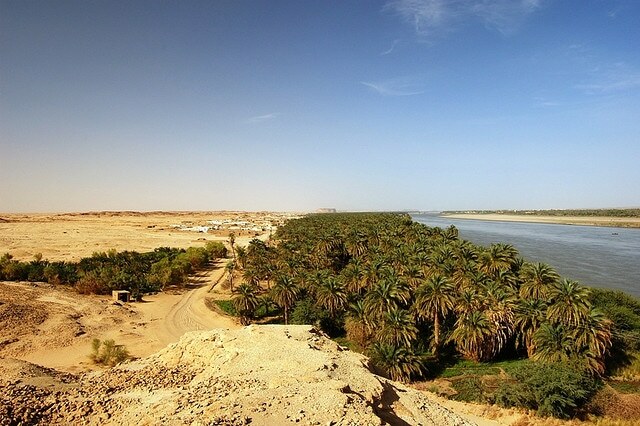 A day when the Nubian culture will return to its ancient splendor.